Men of Destiny's chili cook off is open to all men for a great time of food and fellowship. Sign ups to enter your chili in the competion for the golden spatchula will open in December! 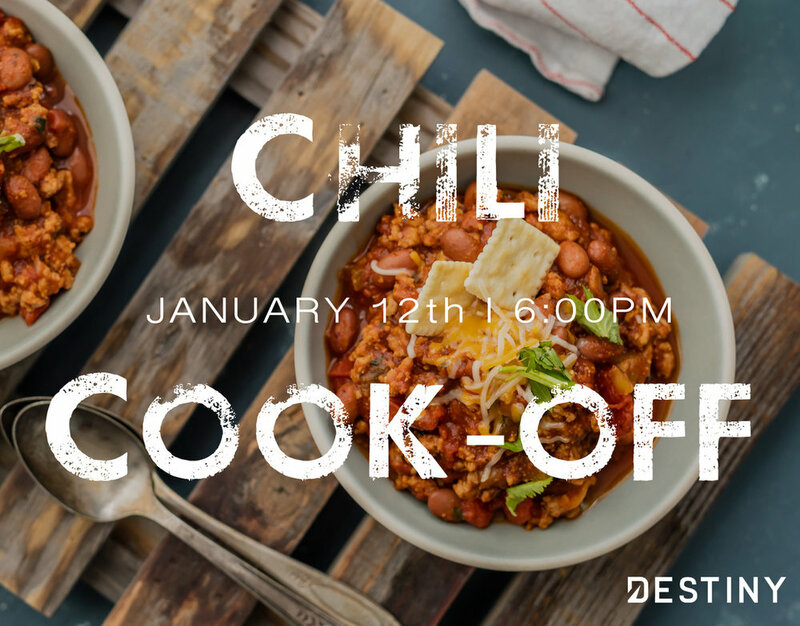 The event will take place on January 12th, at 6pm and will consist of the chili competion, a time for building reltionships and a short time of ministry. Can't wait to see you there!